American entertainment company Netflix will soon stream a 10-episode, straight-to-series order for vampire drama V-Wars. The series is based on IDW novel of the same name and Ian Somerhalder will act in the series. The series will depict the adventures of Dr. Luther Swann (Somerhalder) as he tries to understand the nature of the disease that has transformed his best friend Michael Fayne and so many others into vampires. Swann played by Somerhalder will try to understand what's happening, when his friend Fayne rises to become the powerful underground leader of the vampires. The series is based on IDW Publishing's V-Wars franchise, written by New York Times best-selling author Jonathan Maberry. High Park Entertainment produces alongside IDW Entertainment, which will distribute the series worldwide (excluding Canada). The 1-800-Missing creators William Laurin and Glenn Davis will serve as showrunners. The director and producer of the series is Brad Turner (Stargate, Stargate Atlantis). High Park Entertainment's Eric Birnberg and Thomas Walden will exec produce alongside IDW Entertainment president David Ozer, IDW CEO Ted Adams and Marada Pictures' Games Gibb. Netlix explained, "We could not have dreamed of a better choice than Ian Somerhalder to bring his keen understanding of this genre from his years of starring in The Vampire Diaries to lead the cast of V-Wars as Dr. Luther Swann and to be a creative force on this series, as well as to serve as a director this season. We are thrilled to partner with Netflix to bring the multifaceted world that Jonathan Maberry created to audiences worldwide." 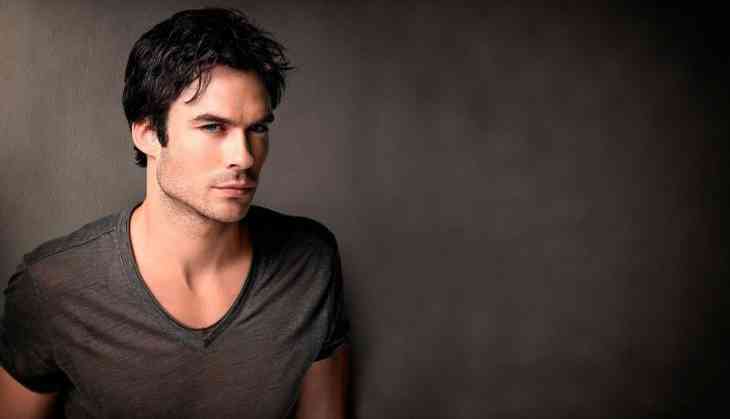 The leading actor Ian Somerhalder signed off of the The CW's Vampire Diaries in the eight-season. He currently has a pod deal with TVD producers Warner Bros. Television with actress Nikki Reed, his wife, via their Rare Bird Productions banner.